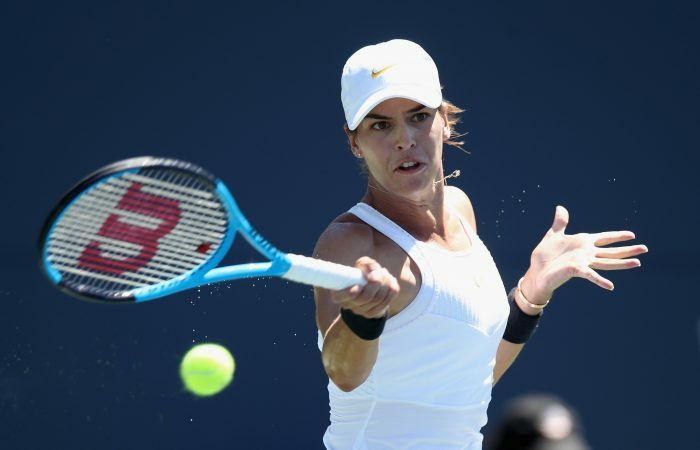 Ajla Tomljanovic wins her third straight match in Cincinnati to set up a meeting with world No.1 Simona Halep, while Daria Gavrilova finds Serena Williams too strong. Ajla Tomljanovic will take on Simona Halep for a place in the last 16 in Cincinnati after beating Irina-Camelia Begu on Monday. 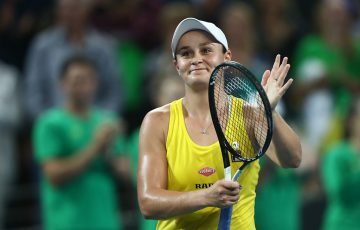 The Aussie qualifier won her third straight match at the $2.87 million tournament with a 4-6 6-3 6-3 victory over the Romanian. Tomljanovic progresses to a second-round meeting with world No.1 Halep, who received a first-round bye. Halep won the WTA title in Montreal last week. Under lights on Monday night, Daria Gavrilova was no match for a resurgent Serena Williams, who raced to a 6-1 6-2 victory in just over an hour. 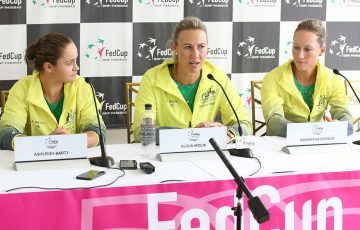 Williams, rebounding from the heaviest loss of her professional career in San Jose two weeks ago, played extremely clean tennis – while both women finished with 14 unforced errors, Williams struck 27 winners to Gavrilova’s seven. Gavrilova had chances in a lengthy seventh game of the second set, which had she won would have tightened scores up at 3-4. 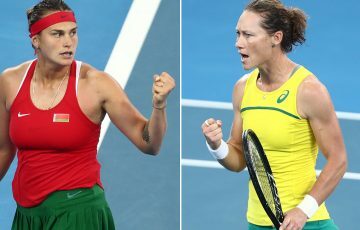 Yet two double faults – her sixth and seventh of the match – proved her undoing. Williams, who next faces Petra Kvitova in a blockbuster second-round match, broke for a 5-2 lead and comfortably served out the match in the next game. On Tuesday, Ash Barty and Nick Kyrgios will kick off their campaigns in Cincinnati. Barty, seeded 16th, takes on Czech wildcard Marketa Vondrousova while Kyrgios, the No.15 seed, faces American qualifier Denis Kudla.